Innovative and (dare we say) arty packaging solutions continue to attract attention in the craft brewing industry. An example? Well, how about a take-home draft beer in a quart-sized, tall-boy aluminum can that keeps well and stores conveniently in your fridge. Sold? That’s the promise of the Crowler, beer dispensed into a 32-ounce can, then sealed (while you watch) with the same style of pop-top lid that’s a mainstay of the beverage world. 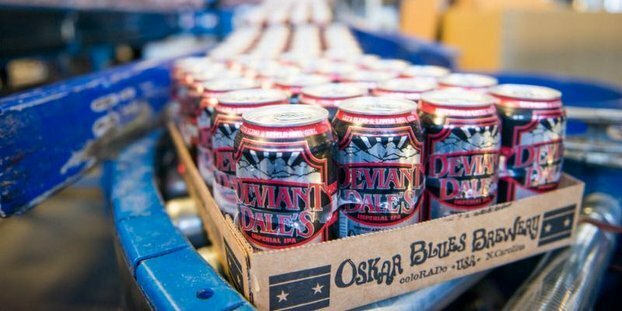 We’ve covered the Crowler before (an Oskar Blues Brewery and Ball Corp. brainchild), but now this excellent idea is migrating across the craft brewing landscape. Watch this cool video by New Jersey-based craft beer chronicler, I Drink Good Beer, as two devotees of the Crowler — a New Jersey brewery and a Pennsylvania bar — pick up the story. Jeff Linkous, a longtime Garden State journalist, follows New Jersey’s craft brewing industry at his website Beer-Stained Letter. Follow him on Twitter and then go visit his website, like now. Thanks for picking up our film gang! Brian Casse liked this on Facebook.